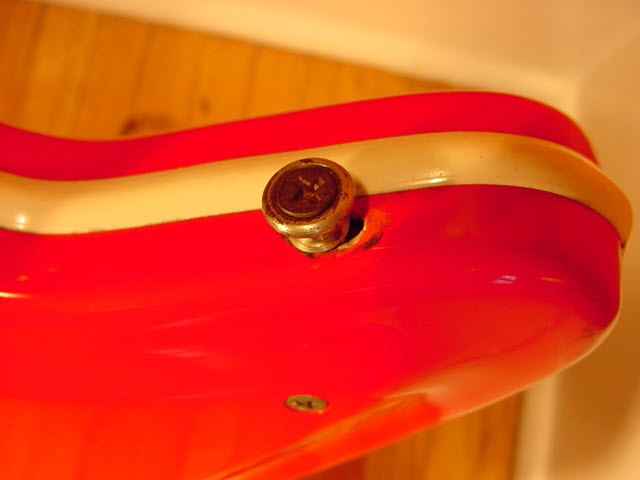 Res-O-Glas was Valco’s term for fiberglass. 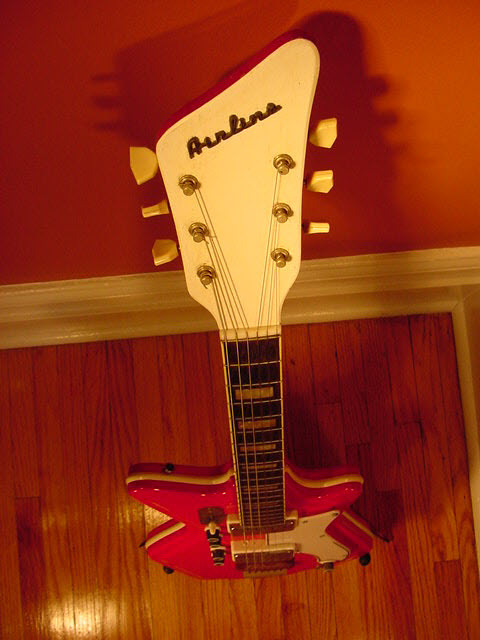 These guitars we made with two clamshell pieces (top and bottom of the body) that were aligned and held together with a slotted rubber grommet strip, then long machine screws through the back and into the front. 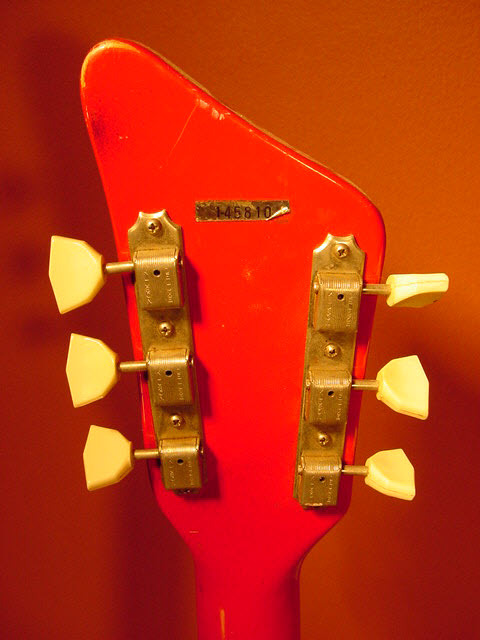 There was a maple block inside the hollow body which served the purpose of mounting the neck. 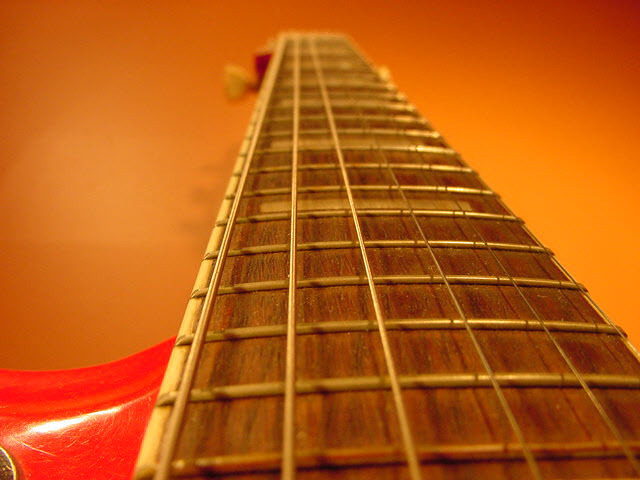 The necks did not have a truss rod – a major setback to these old guitars, especially 50 years later – but had a 3 screw pivot system to tilt the neck angle back and forth to adjust the action. 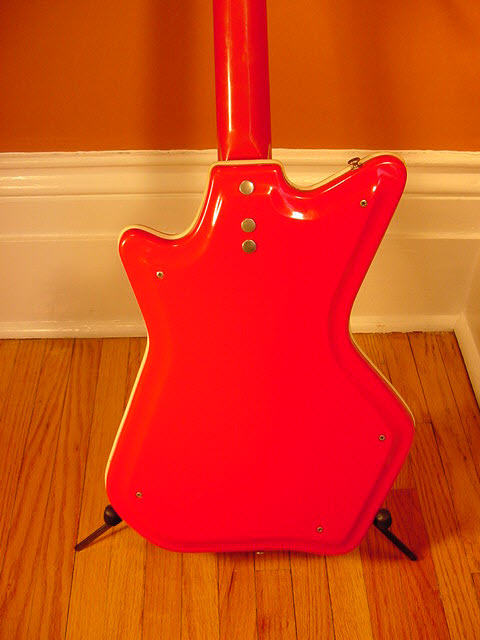 These were covered but chrome plastic covers on the back of the body. One giveaway that a vintage version has a bad humped neck? 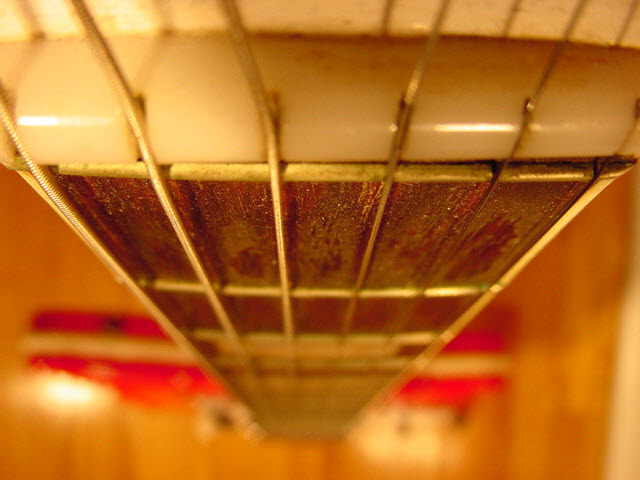 Those covers are always missing, as someone over the past 50 years tried and tried to adjust the neck and eventually lost the covers. 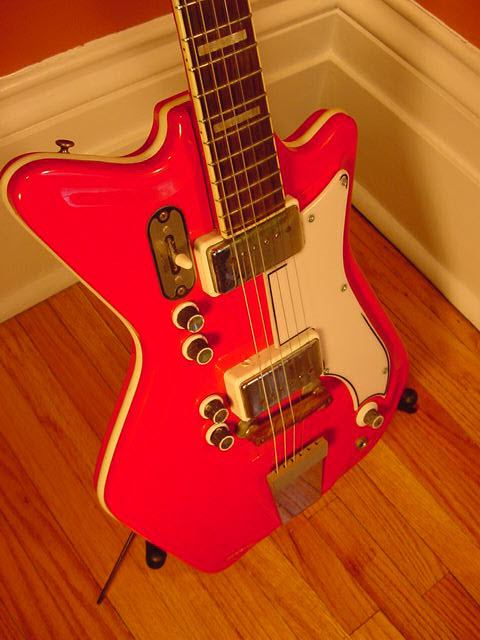 Although they appear to be humbuckers, these guitars had single coil pickups with a unique tone that became popular with the blues players (not just for their tone, but more likely for their affordability vs. a new Fender Strat). 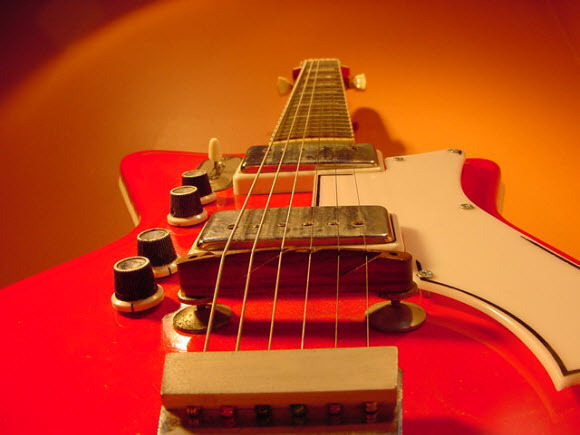 That is what modern players are seeking out these old guitars, like Jack White, for the growly single coil tone. 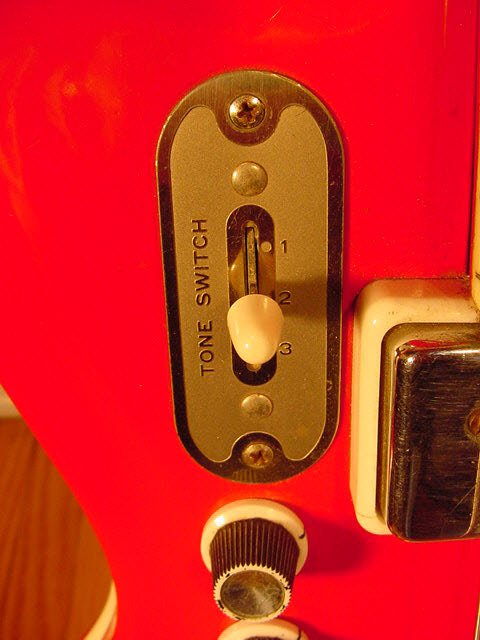 This sample had two pickups, each with its own volume and tone controls, and a unique 3-way switch labeled “Tone Switch”. Yes, the original valco pickups are ‘kin awesome. 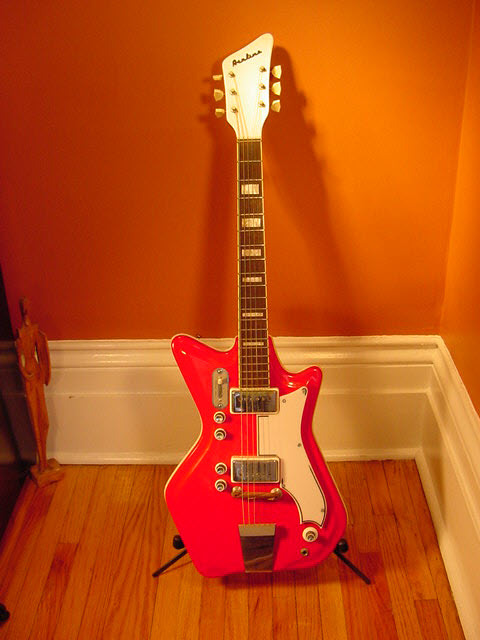 Has anyone directly compared them to the eastwood reissues?